While vehicles coming out of a factory are uniform, paint fades and body parts change shape as they’re subjected to the vibrations and impacts of day-to-day driving. This uniqueness makes each body repair slightly different: the technicians have to reconstruct this patina with their work to blend in the repair. That takes a lot of time, effort and money. With paintless repair, the original panel is put back into shape without having to replace paint or sheet metal, cutting out a lot of the work needed with a regular repair. That means a faster turnaround and lower cost. Also called “paintless dent removal,” PDR fixes minor dents, dings and scratches by reshaping the affected body panel from the underside, gently pushing the damage outward until the panel is back in its original shape. Since the outside surface is left untouched, there’s no need for fresh paint or a new panel. 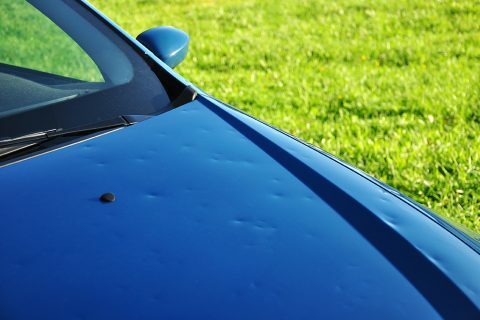 PDR can be used to fix anything from hail damage to dents from minor fender benders; the only limitation is the flexibility of the panel and the paint. The shallower the dent, the more likely it is that it can be repaired using PDR. Of course, these are guideline prices: the actual cost of repairing your vehicle will vary. We can give you an estimate in about 15 minutes, so you’ll know exactly what it will take to fix your vehicle. 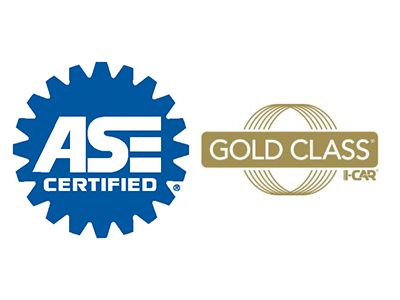 Our ASE and I-CAR certified technicians have all the tools available for this type of repair including rods and bars, door hooks and dent repair hammers, so if it’s possible to make a paintless repair, we can do it. If the damage is too great, we can fix that, too: we’re a full service body shop offering a range of services from detailing to repainting.